If you’ve been following my page for a while, you’re aware of my obsession with anything and everything Lakeshore Learning. 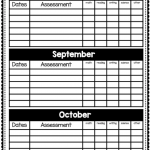 (Read more about how I’ve used Lakeshore products in my classroom here). As a long-time fan of the company, I can attest to the superior quality of every product I have purchased. Not only are their award-winning materials durable, but EVERY SINGLE PRODUCT WAS CREATED BY A FORMER TEACHER WITH EDUCATION IN MIND! They let me choose products that best represented the population I know best: special education. Students use the magnetic fishing pole to reel-in fish-shaped manipulatives. They then practice their counting skills by representing different numbers and placing them onto a card with a net. 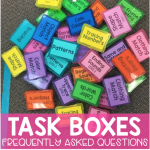 This activity is perfect for small-group lessons, partner work, or independent work stations. I knew I would like this Create-A-Burger Sequencing Stacker when I read the description online. But, let me tell you. This little cheeseburger is even more precious in person!!! Not only are the wooden pieces extremely durable, but whoever designed this had an eye for small details (which I definitely appreciate!) From the “grill marks” on the patty to the small rings within the onion, these pieces are very realistic, brightly colored, and highly motivating. Sequencing is such an important concept for our students. The Create-A-Burger sequence stacker facilities life skills as students follow the visual steps to make the burger in the proper order. This activity also reinforces fine motor skills, as they align the center hole with the burger stacking stick. The Create-A-Burger Sequencing Stacker is ideal for speech sessions, partner work, or a dramatic play center. For only $14.99, this is an absolute classroom necessity! Teaching in the self-contained classroom, I have worked with many students on the Autism Spectrum. While the preferred reinforcers always vary from year to year, there were two reinforcers that were consistent every year. My students loved maps and they loved puzzles. These Logic Puzzles are both reinforcers in one! Students practice strategy, spatial awareness, and fine motor skills to help them complete the puzzles. These puzzles are perfect for reinforcing concepts such as colors and shapes. If you have a play-based learning station or use Pivotal Response Training in your classroom, these logic puzzles are great tools for eliciting language from students. 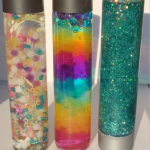 So if you are in search of fun and engaging materials to increase student engagement, I cannot recommend these Lakeshore Learning products enough! Be sure to use this code to get 25% off any non-sale item!